You Go Goodwins sponsored Manchester Storm take on the Coventry Blaze in the Challenge Cup this Sunday at the Coventry SkyDome, with faceoff at 5:15pm. The Challenge Cup Group B table is very tight with only a few games left and only Nottingham and Sheffield guaranteed a place in the quarter-final round. Coventry currently sit fifth, with 3 points from 6 games, whilst Manchester are fourth on 6 points from 6 games. 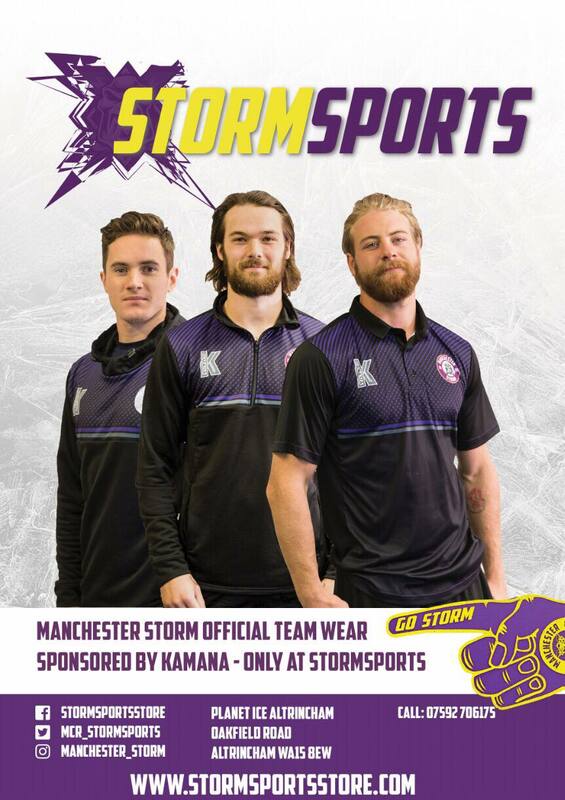 A win for Manchester would guarantee a quarter-final matchup for the Storm, regardless of whether it is a regulation or overtime/penalty shot win. An overtime or penalty shot loss, or a regulation time loss would see qualification go down to the next round of games. Since the last matchup between the teams, Coventry have made a change to their roster. Darcy Zajac was released and replaced by Taylor Carnevale, a 25 year old centre from Mississauga, Ontario, who has already impressed in his first 5 games picking up 6 points. Coventry are coming into the game off the back of a tough-weekend, facing the Sheffield Steelers twice, losing on the Saturday 9-5 away and 6-1 at home. The Blaze also received a blow last weekend, after netminder Brian Stewart was injured in a collision with Sheffield’s Zack Fitzgerald, but Stewart was back between the pipes last night when the Blaze extinguished the Belfast Giants 4-1 at the Skydome. This game is the second matchup between the teams this season, Storm coming out 3-1 victors in the Challenge Cup in September at the Storm Shelter. That night, Cartier, Trabucco, and Prince provided the goals from the Storm, Bjorn Bombis getting the solitary Blaze marker. 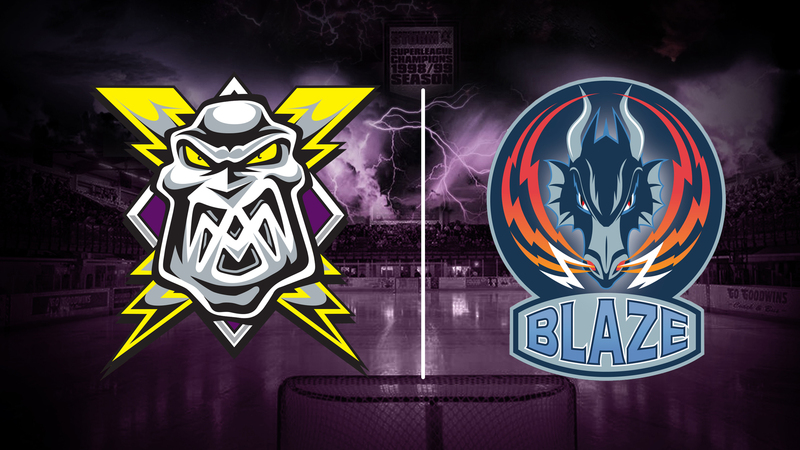 The Manchester Storm are without 3 forwards for tonights game with Dzyiursinski, Harding & Valcak all out due to injury. Connor Varley who missed last nights home game due to illness is expected to play this evening. Storm head into the Skydome on the back of an incredibly hard fought victory last night at home vs the Nottingham Panthers, when the Storm skated away with a 4-3 win and another 2 vital league points. This is a must-win game for Coventry in the Challenge Cup, the Storm will be looking to keep their recent good-form going and this has the makings of a hard-fought tight game. ONE TO WATCH: Josh Godfrey is in his second year for the Blaze and has been in excellent from this season. Dangerous on the powerplay, he is currently sitting on 4 goals and 5 assists from 16 games for the Blaze.